Situated just off S Flagler Avenue in the highly sought after community of The Southend in West Palm Beach, Florida, this stunning home offers well thought out spaces and an incomparable location. 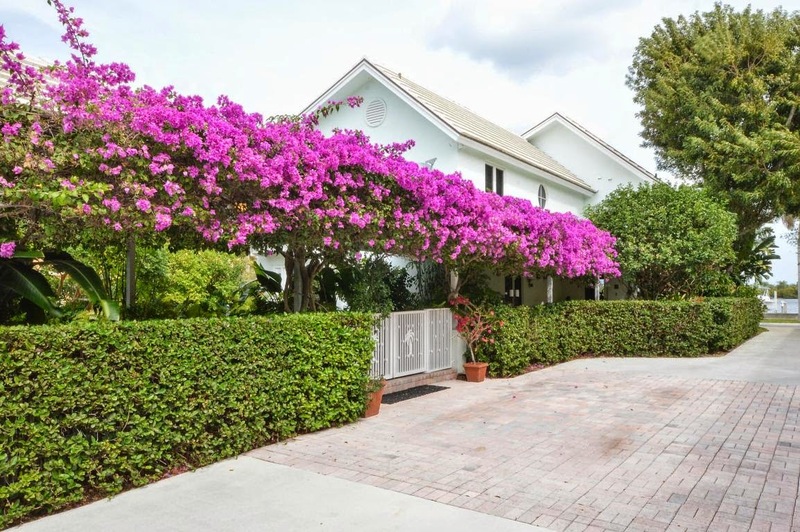 Elegantly appointed, this remarkable 4BR/2BA watefront home in The Southend West Palm Beach boasts more than 2,700 square feet of beautifully designed living space. Unifying form and function, the graciously proportioned gourmet kitchen is sure to impress the chef of the family with sleek granite countertops, custom wood cabinetry, generous walk-in pantry and a full suite of high-end stainless steel appliances. A light infused Florida room is graced with walls of oversized windows showcasing spectacular panoramic views of the Intracoastal. A luxurious retreat, the Master suite opens to an expansive balcony boasting Intracoastal views and a spa-quality bath with his-and-her sinks, glass enclosed walk-in shower and jetted tub. Additional deluxe features include lush tropical landscaping, private boat dock with two boat lifts, stunning lanai, 2-car garage and an expansive estate sized lot. 4207 S Flagler Drive is located in West Palm Beach and is currently asking $2,295,000. This The Southend listing is courtesy of Coldwell Banker/wpb MLS# RX-10115104. The Southend West Palm Beach is an ideally located community of single family homes situated near the heart of West Palm Beach, Florida. Residents of The Southend enjoy an enviable location just minutes to all the signature elements in the city including fine dining and nightlife, abundant shopping, thriving arts and culture as well iconic Worth Avenue on nearby Palm Beach Island.